I got this, he thought. Simple school physics. There’s wind right in my face. This is how it looks in a storm. He turned off his car’s long-distance light in order to see the dark country road better through the snow. The snowflakes rocketed towards the windshield as he tried to make his way home after work. A person with a little doggy on a leash appeared out of nowhere at the side of the road. He saw them jump back into the snow. His eyes widened in shock as he jerked the wheel to the left, and just about managed to avoid a trailer driving in the other direction. “Weird time and place to walk a dog.” he said to the inside of the windshield. He made it home only slightly later than he had anticipated. He parked his car in the garage and stepped outside into the storm. The wind bowled him right back towards the wall with a thud. A thought occurred to him. He stood pondering his alternatives for a split-second. As the wind whipped colour into his face, he made a decision. He rolled his body along the wall back to the door and into the garage. Once inside, he wrote his wife a text with frozen fingers. When he had gotten about halfway back to his office, his mobile phone sounded off. He ignored it. Just great, he thought, I’m driving with the wind now, and the snow still comes right at me. Close to the office. He could barely make out the driveway down away from the country road and onto the parking lot. An eagle, a big fat sea eagle, body dark brown like the mountains, tail white like the snow on the mountainsides, with its wings spread wide, hovered in mid-air about a metre from ground right over the road and right in front of his car. It looked like it moved forwards. You could sense that it did, too. But it did not. It just hung there in mid-air like a giant mobile without the wires. When his brain had caught up with the action, it was too late to break. He still tried, but had to steer the car away from the bird. The vehicle crashed into the ditch. Fortunately, the car had hit enough of a snow drift for this to feel worse than it was. He had been shaken a little from the impact, but felt ok, physically. The car was most certainly going to be alright, too. He took up his mobile phone. “Be safe.” was the simple message his wife had written. He looked up towards the eagle and realised why the snowflakes had still looked like they came right at him on the way back. He had been driving faster than the wind. The term was “relative motion” he recalled from school. The principle underlying it all was called “relativity”. It ran much deeper than wind directions, snowflakes, and cars. 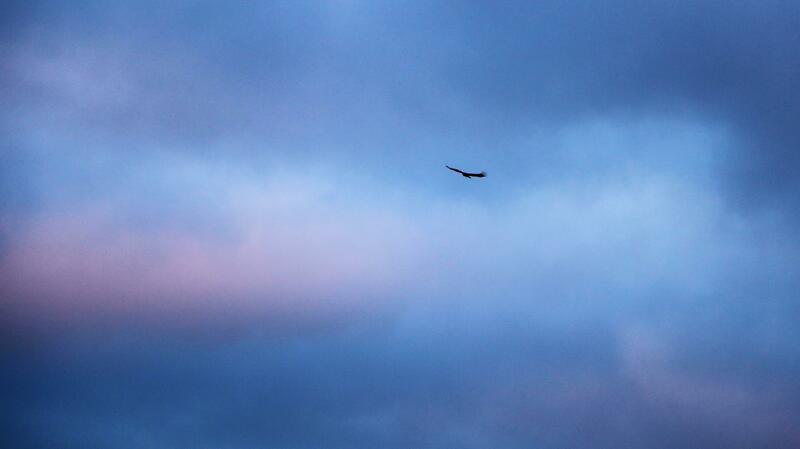 The eagle still hung there in the air, flying as fast forwards as the wind pushed it backwards. It cocked its head sideways. Now read this: It’s a wrap!